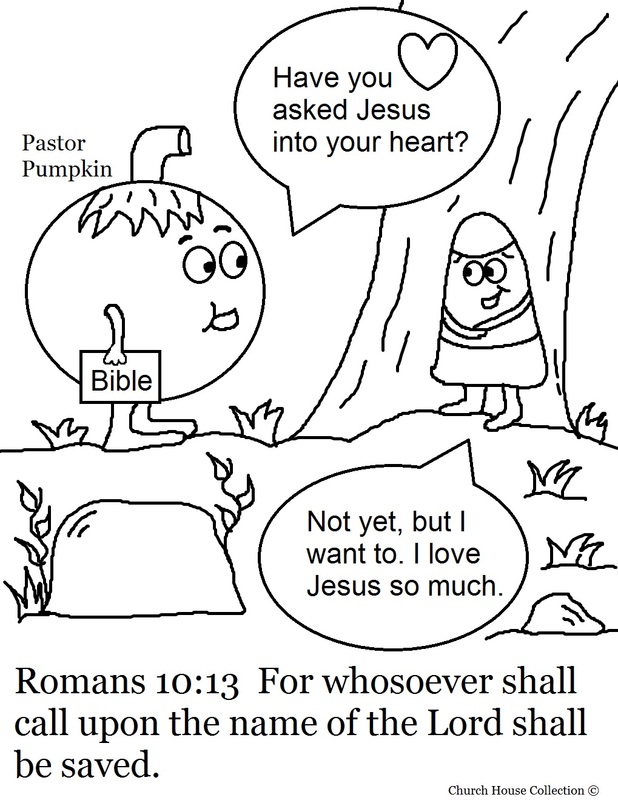 This is a free coloring page for the kids to color. This comes in colored and black and white. 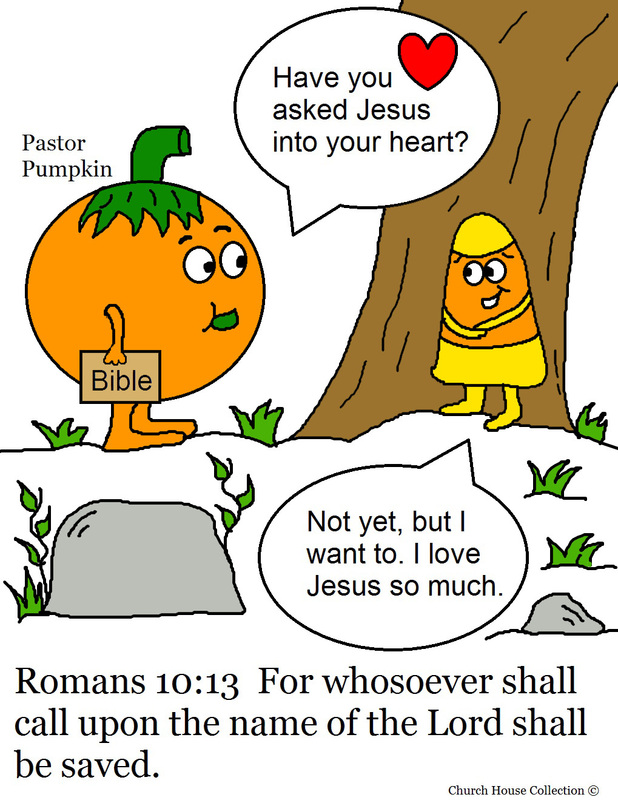 This a coloring page of a pastor pumpkin asking the candy corn kid if he has accepted Jesus into his heart yet. The candy corn kid is saying he has not yet but he wants to. The scripture on the paper is from Romans 10:13.